When it comes to Halloween themed nails, I try to be creative. My skills in the nail art department aren't the best but I tried, see for yourself. But nowadays, I look to nail vinyls; the easier method to DIY nail art. 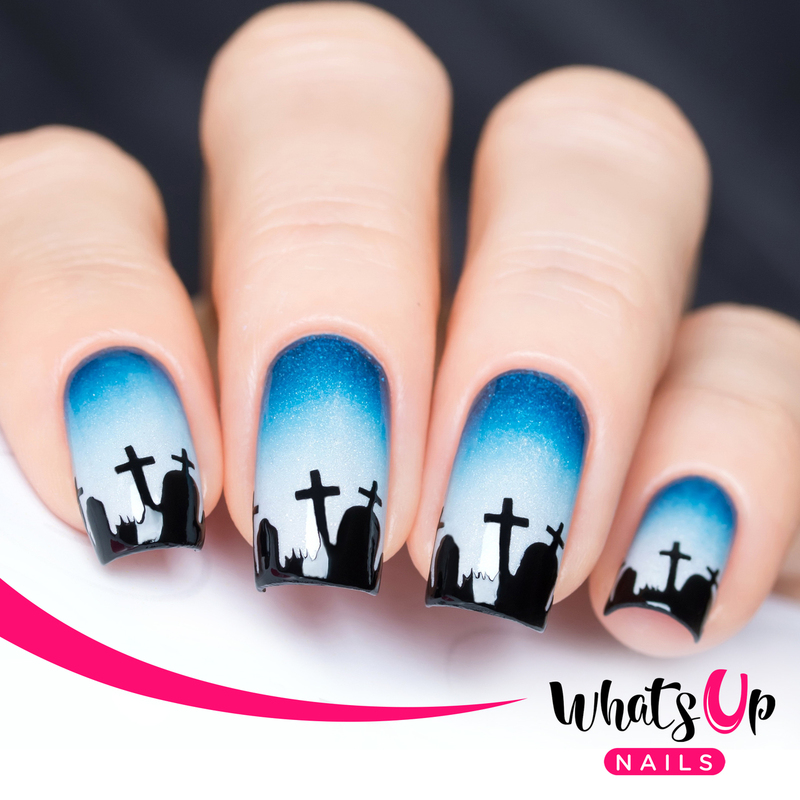 These Graveyard Nail Vinyls by Whats Up Nails couldn't be easier and the outcome looks amazing. You could stick to one shade or create an ombre effect for the background. There's so many ways to play with these nail vinyls. Let's show off your creativity! 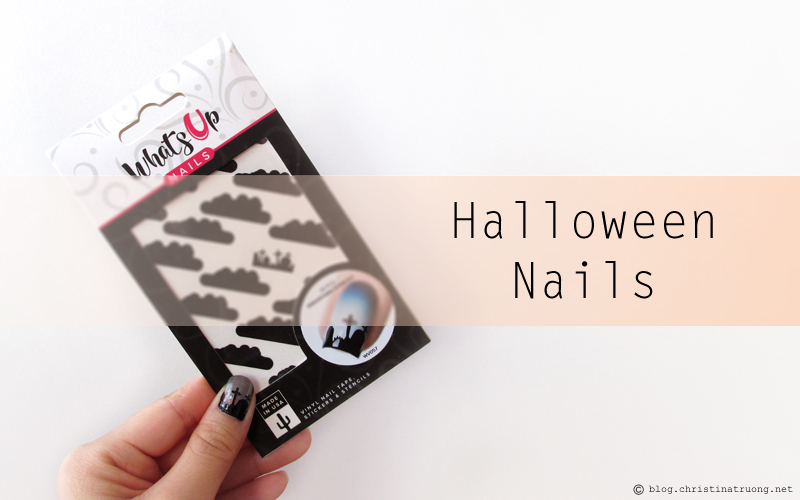 I have partnered with Nail Polish Canada to giveaway free Graveyard Nail Vinyls. So what are you waiting for? Head on over to www.nailpolishcanada.com and use the coupon code: YT603EMQDQ0Y to receive a free Whats Up Nails Graveyard Nail Vinyl, no stings attached! And if you're one of the lucky 10 people to receive your free Graveyard Nail Vinyls, please feel free to tag me on Facebook, Twitter, or Instagram so I can see your Halloween nails! Disclaimer: Products received under this post were sent from Nail Polish Canada. Views expressed are honest and of my own. These are so cute! And they seem like they would be pretty easy to use! I'll admit, the first few tries didn't turn out so great but once you get the hang of it, it looks amazing!